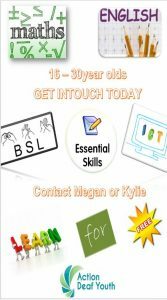 Action Deaf Youth: Why not join our FREE Essential Skills Classes at Action Deaf Youth? We offer one to one mentoring support, Communication support, free lunches and travel too! CPANI is seeking applications from people interested in becoming Independent Assessors. These are individuals who sit on the departmental selection panels convened to appoint the Chairs and members of our public bodies.